The United Nations Statistics Division (UNSD) in collaboration with the Department of Statistics (DoS) of Jordan, the Arab Institute for Training and Research in Statistics (AITRS) and the United Nations Population Fund (UNFPA), is organizing the United Nations Technical Meeting on Use of Technology in Population and Housing Censuses. The meeting will take place in Amman, Jordan from 28 November to 1 December 2016. This meeting will bring together national statisticians to review national experience in, and document good practices on, the use of electronic data collection technologies in census enumeration. The meeting will also provide an opportunity to review the business processes for successful implementation of electronic data collection technologies in population and housing censuses The outcomes of this meeting will serve as input towards the drafting of guidelines on the use of electronic data collection technologies in censuses. 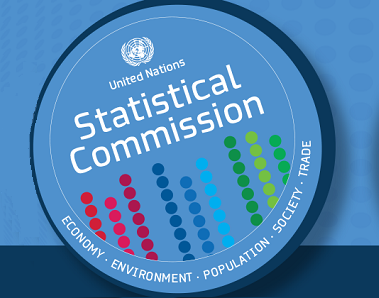 The United Nations Statistics Division is organizing, in collaboration with the Arab Institute for Training and Research in Statistics (AITRS) a Regional Workshop on the Integration of Statistical and Geospatial Information, to be held in Amman, from 16 to 19 February 2015. The Workshop is convened in accordance with Statistical Commission decision 44/101 and UN-GGIM decision 3/107, which both recognized the need to meet the challenges of managing and effectively integrating geospatial and statistical information in support of census and other statistical activities, particularly in preparation for the next 2020 round of censuses. The Workshop, with participation of representatives from national statistical systems of Arab States will review emerging trends, innovative approaches and technological tools employed in the integration of statistical and geospatial information. The Workshop is expected to provide a basis for assessing existing national statistical-geospatial strategies as well as technologies used by National Statistical Offices. It will also aid in taking stock of national capacities and challenges for meeting the increasing requirements of census data users. Furthermore, the Workshop is expected to help in identifying good practices and lessons learned in the collection, analysis and dissemination of census data. The ideas generated by the discussion and the recommendations made by participants will contribute to the global consultation and communication carried out by the UN Expert Group on the Integration of Statistical and Geospatial Information. UNSD will conduct the Workshop on Revision 3 of Principles and Recommendations for Population and Housing Censuses and Census Data Evaluation, in collaboration with Arab Institute for Training and Research in Statistics, in Amman, Jordan, from 19 to 23 October 2014. The workshop will bring together statisticians from twenty-two countries and representatives of international organizations. The workshop aims to increase the knowledge of the government statisticians on the revised international principles and recommendations for population and housing censuses; enhance the knowledge of the staff on importance of evaluation of the quality of census data and identification of types of errors in census data through using demographic techniques; and improve their capability in identifying gaps and challenges in applying international standards in conducting population and housing censuses and improving the quality of data collected through the census. The workshop also aims to provide a platform for participants to share their national experiences and learn from good practices. The Workshop is part of a global series of workshops on data dissemination and communication, organized as part of a United Nations Development Account project. The purpose of the overall project is to provide a forum for sharing national practices and experiences in the dissemination of statistical data and metadata. The Workshop will review emerging trends, innovative approaches and technological tools employed in the dissemination of data. The Workshop is expected to provide a basis for assessing existing national dissemination strategies as well as technologies used by National Statistical Offices. It will also aid in taking stock of national capacities and challenges for meeting the increasing requirements of users. Furthermore, the Workshop is expected to help in identifying good practices and lessons learned in the dissemination and communication of data. The ideas generated by the discussion and the recommendations made by participants during all workshops will contribute towards the drafting of a technical report and/or the creation of a knowledge base on the UNSD website, dedicated to the topic of effective dissemination of data. The United Nations Statistics Division (UNSD) together with the Arab Institute for Training and Research in Statistics (AITRS) and the United Nations Economic and Social Commission for Western Asia (UN ESCWA) is organizing a Training Workshop on Environment and Energy Statistics for Arab Countries from 8-12 September 2013 in Amman, Jordan. This workshop, which is envisaged as first in a series of workshops on environment and energy statistics, will review the basic concepts, methods and international recommendations on environment and energy statistics as well as the main interrelationships between the two areas. It will also provide a forum for sharing country experiences and will identify priority areas for the region for the subsequent training workshops. The United Nations Statistics Division (UNSD) and the United Nations Economic Commission for Western Asia (ESCWA), in collaboration with the Department of Statistics of Jordan, the Arab Institute for Training and Research in Statistics (AITRS) and the Statistical, Economic and Social Research and Training Centre for Islamic Countries (SESRIC), are jointly organizing a Regional Seminar on International Trade Statistics from 12 to 14 June 2012 in Amman, Jordan. The seminar aims to enhance the capacity of the national statistical systems of Arab countries to produce reliable and high quality trades statistics. The seminar will focus on the compilation of statistics of international trade in services and on linking trade and enterprise statistics in view of an increasing globalization of production of goods and services. UNSD, in collaboration with the Jordan Department of Statistics and the Arab Institute for Training and Research in Statistics, is organizing a Regional Seminar on Census Data Dissemination and Spatial Analysis. The purpose of the Seminar is to provide a forum for sharing national practices and experiences in the dissemination and use of census data. The Seminar will review emerging trends, innovative approaches and technological tools employed in the dissemination of census data. The Seminar will also aid in taking stock of national capacities and challenges for meeting the increasing requirements of census data users. Furthermore, the Seminar is expected to help in identifying good practices and lessons learned in the dissemination and analysis of census data. UNSD, in collaboration with the Jordan Department of Statistics and the Arab Institute for Training and Research in Statistics, is organizing a Workshop on census evaluation in the context of the 2010 World Programme for Population and Housing Censuses. The purpose of the Workshop is to present an overview of the various methods of evaluating censuses with a focus on the post enumeration survey (PES) methodology. More specifically, the Workshop will cover elements of the PES with regard to: (1) planning and implementation; (2) frames and sample design; (3) methodologies for evaluating content and coverage errors; (4) matching procedures; (5) imputation of missing values; and (6) tabulation and dual system of estimation. The Workshop will also offer the possibility to the participants to present and discuss the experience of their countries on different aspects of census evaluation and the post enumeration survey.